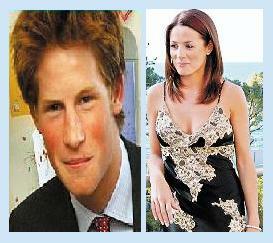 Natalie Pinkham, a 22-year-old television presenter, has dismissed reports that Prince Harry is cheating on his girlfriend Chelsy Davy. Natalie was recently spotted with Prince Harry at London nightclub Boujis on Friday night. She has been a friend of Prince Harry for eight years.